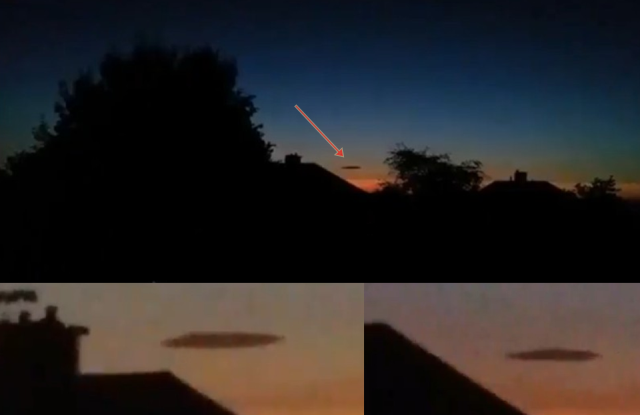 On June 18, 2018 at about 9.20 pm a massive possible partially cloaked UFO appeared in the sky of Barnsley in South Yorkshire, UK. The witness describes the object as follows: This thing appeared over the sky’s of Barnsley about 9.20pm, thought it looked out of place as there wasn’t a single cloud in the sky all day. When I went back in my kitchen about a hour later it was still in exactly same place as it was a hour ago, more I looked at it the object seemed to reflect light so I went up stairs to shoot this video. It stayed there till it was too dark to see about 11:30pm. Often lenticular clouds are explained as UFOs, especially those clouds that resemble a flying saucer, but in the case of the black UFO-like object in the sky over Barnsley, it doesn’t seems to be a lenticular cloud or other cloud formation as there wasn’t a single cloud in the sky all day making it very possible that it is a partially cloaked Unidentified Flying Object. « “The Star Gate Project” What Is It? Did The US Government Really Shut It Down?